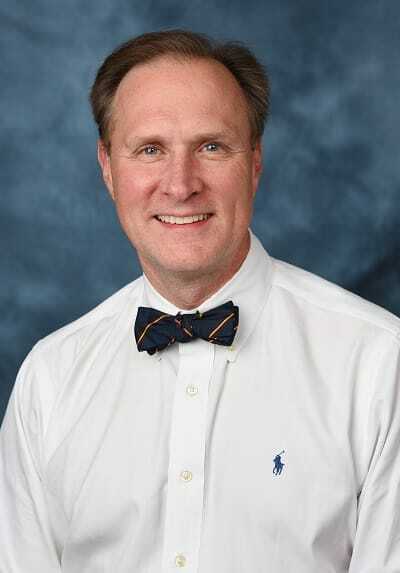 Douglas Nordli, Jr., MD, has been named chief of the Division of Pediatric Neurology and co-director of the Neurosciences Institute at Children’s Hospital Los Angeles (CHLA). Dr. Nordli, who will also serve as a vice chair of Neurology at the Keck School of Medicine of the University of Southern California, joins CHLA on April 1. As co-director of the Neuroscience Center, Dr. Nordli will join Mark D. Krieger, MD – Billy and Audrey Wilder Chair of the Division of Neurosurgery – in providing a comprehensive continuum of care that brings together services from Neurology, Neurosurgery, Psychiatry, Neuro-psychology, Neuro-Radiology, Physical Therapy, Occupational Therapy, Dietetics and Social Work to support the care of children at CHLA. Most recently, Nordli served as the Lorna S. and James P. Langdon Chair of Pediatric Epilepsy and division head of the Epilepsy Center at Ann & Robert H. Lurie Children’s Hospital of Chicago, as well as a professor of Clinical Neurology and Clinical Pediatrics at the Northwestern University Feinberg School of Medicine. After earning his medical degree from Columbia University, Nordli completed a pediatrics residency at Columbia Presbyterian Medical Center (CPMC), followed by a child neurology residency and a year as a postdoctoral clinical fellow in EEG and epilepsy, both at CPMC. From 1990 to 1999, he was an instructor and subsequently an assistant professor at Columbia University. He began and directed the Pediatric Epilepsy section at Columbia-Presbyterian Medical Center from 1991 to 1999, when he joined the Ann & Robert H. Lurie Children’s Hospital. Among his many professional affiliations, Nordli is a member of the American Academy of Neurology, the American Clinical Neurophysiological Society, the American Epilepsy Society and the Child Neurology Society. He was the president of the American Clinical Neurophysiological Society from 2011 until 2012. He is a board member of the American Board of Clinical Neurophysiology and an associate editor for the journals Epileptic Disorders and Seizure. Nordli also brings broad teaching and research experience to this position. Since 2000, he has been director of the pediatric epilepsy/clinical neurophysiology training program at Lurie Children’s, Northwestern University. He has published more than 70 original, peer-reviewed studies, with research focusing on epilepsy classification, epilepsy surgery, febrile seizures and the ketogenic diet, which is used primarily to treat difficult-to-control epilepsy in children. “We are confident that his experience as a compassionate physician, his leadership in training pediatric epilepsy specialists, his outstanding scientific endeavors and his scholarly productivity will enable Dr. Nordli to take a leading and visionary role in the development of a Neurosciences Center to unify programs across CHLA and USC,” said Paul Viviano, president and CEO of Children’s Hospital Los Angeles.